This November, we have not one but three very special projects from Paul Weller to share with you: the INTO TOMORROW Portfolio of signed fine art prints, Collector Copies of the INTO TOMORROW book and vinyl boxed set, and the INTO TOMORROW iBOOK. The INTO TOMORROW limited edition book is the official visual documentation of Weller’s entire solo career, with photographs by Lawrence Watson. 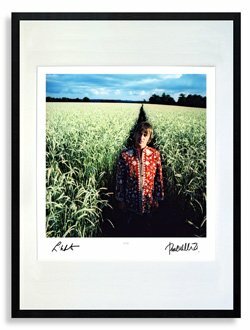 From this, Weller has selected 12 of his favourite images to be presented as archival-quality framed prints, available in three different sizes and each signed by Watson and Weller. The perfect accompaniment to your book and prints, Paul Weller’s INTO TOMORROW iBook has over 40 minutes of exclusive video footage in which Weller and Watson discuss the content and the making of INTO TOMORROW. The iBook is available to pre-order now before its official release by clicking here. The book and prints are both available now and will be delivered in time for Christmas: the perfect gifts for all fans of modern music, photography and style.